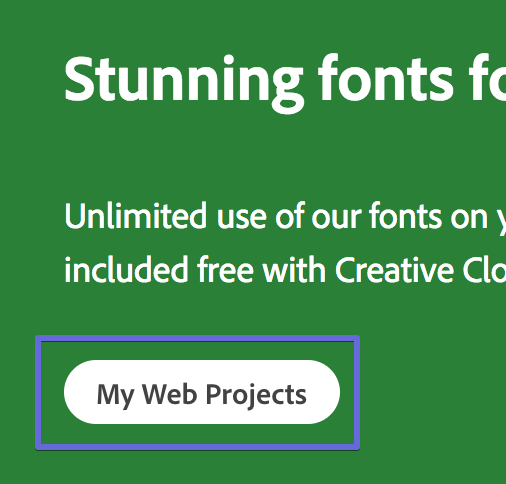 All accounts have access to Google fonts when setting up their branding choices, but if you want to use a specific Typekit (or Adobe) font and you're on our Business or Enterprise plans, this is how you do it. Step 1. Sign in to your Adobe Fonts account. Step 3. From there go to the My Web Projects link. Step 4. On that page you'll see the fonts in your collection and also your Project ID. Step 5. With your Typekit ID copied, head to Settings → Setup Brand → Fonts in your account. Step 6. Select one of the classes (Heading, Subheading, or Body text) and then select "Typekit"
And you're done! From there you'll be able to select your Adobe/Typekit fonts going forward.